There are two different efficiency categories of furnaces available, regardless of brand and within those categories there are three basic types of furnaces. The two different efficiency of furnaces are 80% efficiency and those that are 90% efficiency and greater. A furnace with a rating of 80% uses 80 cents of a dollar worth of gas to heat your home and 20 cents of that dollar goes up the chimney of your home. Furnaces in this range go all the way to 82% efficient. Furnaces that are in the 90% efficient category range from 90% all the way up to 97.3% efficient meaning virtually no waste- 97.3% of every heating dollar goes to heat your home and only wastes 2.3 cents up the chimney. Both efficiency categories have three different types of furnaces available and they are single stage, two stage and variable speed modulating furnaces. Single Stage Furnace Single Stage Furnaces Single stage furnaces are designed to have enough heat output to keep you warm on the coldest day of the year by simply coming on or off. When they operate, they run wide open for a period of time and then shut on and off frequently. The downside of this design is two-fold. First, all this heating up and shutting down is not efficient as heat is wasted during the cool down period. Second, the single stage furnace produces an up and down temperature swing in your home that is not very comfortable. Two stage furnaces were invented to even out the temperature swing caused by the single stage units. They have two distinct heat outputs and normally can heat your home on anything but the coldest day of the year on the low heat output setting. The longer run time on low will more evenly heat your home and the articles in your home. The floors, walls, tables and people are heated instead of just quickly heating the air in your home and shutting off like a single stage furnace. The downside of two stages furnaces is their longer run time can produce slightly higher electric bills from the fan or blower in the unit running more to even out the temperatures. Variable speed furnaces take care of the furnace blower’s higher consumption on electricity by using a special D/C current motor to provide a modulating variable speed unit that is simply the best available heating source today. 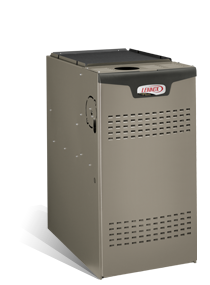 The variable speed furnace converts A/C current from your home to D/C current to allow the furnace to have infinite number of speeds and to run very efficiently. The blower in a typical single stage or two stage furnace consumes approximately $275 a year in electricity while the variable speed blower uses only $30 a year to provide the correct amount of heated and cooled air to all your rooms. Copyright © 2019 Good Time Home Services. All rights reserved.